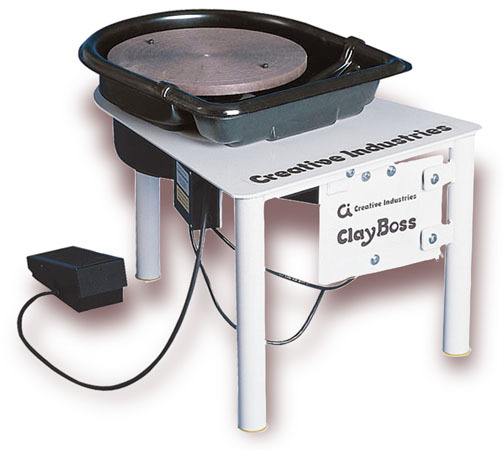 Potters Wheel - CLAY BOSS POTTERY WHEEL by Speedball Art is great for entry level ceramists. The Clay Boss has electronic control circuitry & load-sensing control for maintaining wheel head speed under varying loads. Its variable speed foot pedal even includes "cruise control". Warranted 5 years by Speedball Art, covering both parts and labor at their factory. 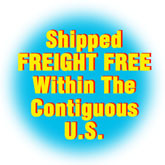 Shipped FREIGHT PREPAID via UPS from the manufacturer in Statesville, NC to anywhere in the contiguous 48 states. Please allow 5-10 business days for your order to be processed. Please Note: EXPEDITED SHIPPING is NOT AVAILABLE for this item. on its 14" steel wheel head. your order to be processed. Potters Wheel $550.00 - Speedball Artista Pottery Wheel - FREE SHIPPING Limited Time! Pottery Wheel by Brent, Model IE - FREE SHIPPING Limited Time!